Field Eagle is a system configured to your needs. With a powerful inspection and audit backbone, Field Eagle integrates with other data systems to maximize operational, reporting and productivity goals. Assign tasks & documentation to field workers in real-time. Increase mining productivity and safety. Maximize risk management and efficiency. Improve safety while reducing costs. Increase COR compliance and quality assurance. Ensure a reliable and effective preventative maintenance plan. Improve risk management and profitability for Utilities. Companies that need to collect data in the field, whether for compliance audits, condition rating, inventory, inspections, safety or preventative maintenance can now leave their paper and pen at home. Using Field Eagle's handheld application, any Windows 8.1 (plus), iOS, or Android tablet can be a fully integrated data collection tool. Reporting time is reduced from hours to seconds with increased accuracy and detail. 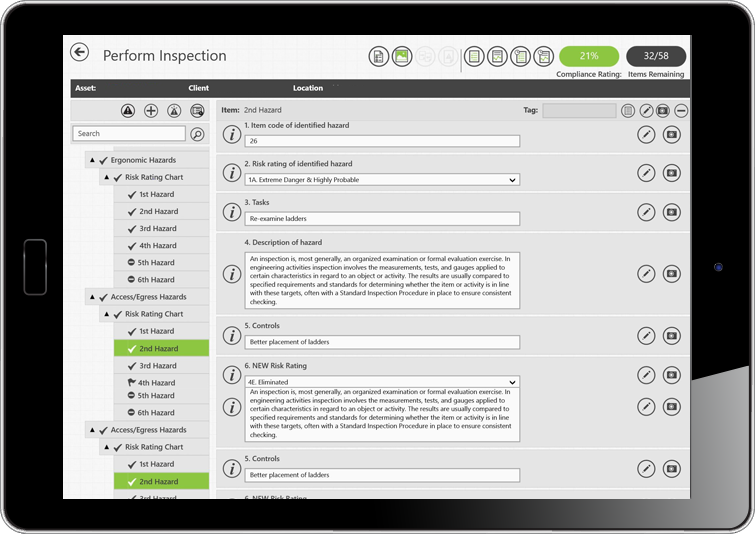 Field Eagle is the centralized place for all your inspection data and reports, available anytime and anywhere. With Field Eagle put down your paper and pen, and pick up a tablet! Yes, I would like to receive further information about Field Eagle from time to time. This is the brochure form, we need a Case Study Form! Sandvik was looking for a software partner to create a standardised inspection/audit system for its Bulk Material Handling Machines (BMH). In an ever expanding Global Village Sandvik was finding that it required its Market Operations Areas (MOA) to have a more controlled , standardised and defined way of working for the benefit of itself and customers. Enter Field Eagle: - I became Project Manager of what Sandvik called the Integrity Monitoring System (IMS) and for the next three years Field Eagle developers and Sandvik business and technical specialists worked together to create a system that allowed a controlled and standardised global approach to inspect and audit all BMH machines in the Market Operations Areas (MOA). My contact with Field Eagle as IMS Project Manager covered many aspects of software development, IT, business, machine technical, engineering, maintenance and field service work and the learning curve for both myself and the Field Eagle team was large, sometimes frustrating, however always rewarding with valued outcomes. In June 2015 the IMS Project was completed and the implementation into the MOA's set underway. During this time work on Field Eagle and indeed the IMS continues with new developments as both Sandvik and Field Eagle learns more from our onsite inspectors and customers. It has been a pleasure to work with the Field Eagle team with their can do attitude, open mindedness and results driven ethos. 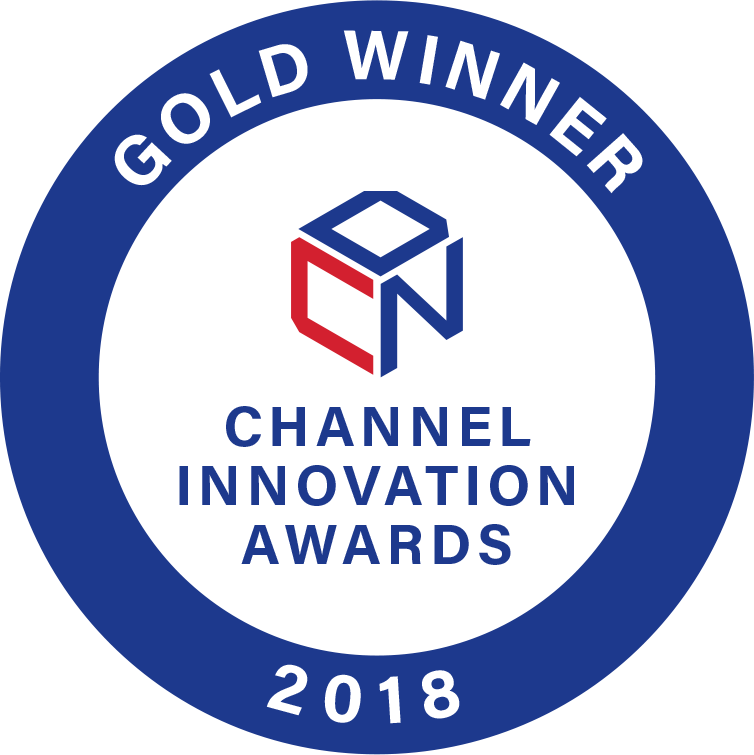 Sonia Couto, Field Eagle's Product Manager and Director of Operations at Konverge Digital Solutions, accepts Silver for Best Mid-Market Solution at the 2015 CDN Channel Elite Awards.